A group of Chinese martial artists put on a show of their Kungfu skills at the Ernst Cultural Center in the state of Virginia on Saturday evening. During the one-and-half hour China Day Wushu show, they performed several items in various Chinese martial art styles, like the famed Shaolin Kungfu, winning applause from the audience, for whom it was an opportunity to observe the martial arts by professionals and learn about an important aspect of traditional Chinese culture. 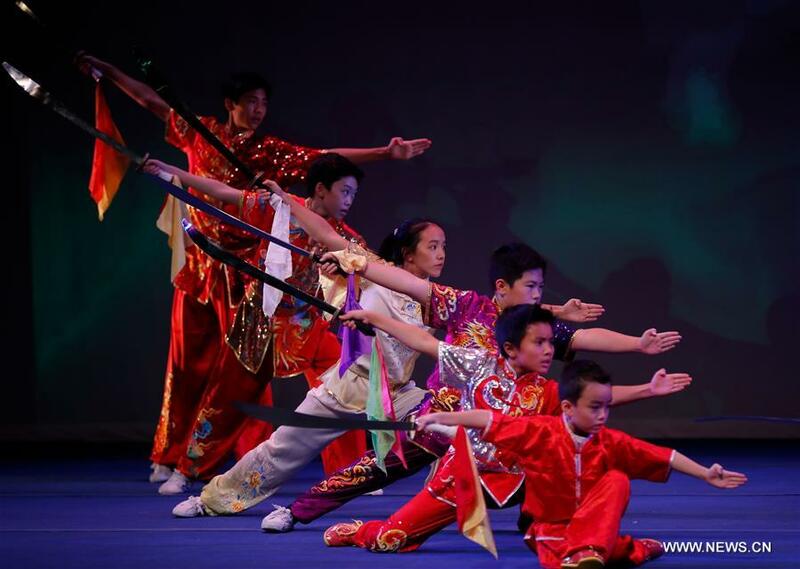 "We hope that our show will serve as a bridge for martial arts lovers overseas to learn more about Chinese culture and appreciate the beauty of China," said Huang Jing, director of the international communication department of China Intercontinental Communication Center. The center presented the event, together with the Chinese Wushu Association and the Information Office of Henan Provincial People's Government. The event was the final leg of the group's North America tour, after performances in New York and Washington.